A Second Life Blog about Fashion, Events, Art and anything I feel worthy of a blog. 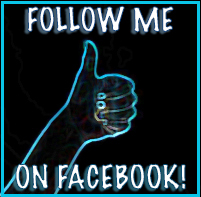 Always come back and FOLLOW and SHARE!! Aubry Fisher's Blog (DJ A.F.I.) ASK AUBRY … all about Crohn’s Disease. Ask ANYTHING! Give Crohn’s a slap from me!!!!!! Fashion Parallels by Zaks Zaks Showtoons1239 -CEO of Regal Modeling Academy & Agency – http://regalmodeling.com 2016 & 2015 Nomination for Best Fashion Academy/Agency in SL! LUMIPro Take your photography to the pro level. NessMarket A blog featuring, sales, luckies and freebies of Second Life. Satus Voltz [Satus Inc] Beautiful Site!!!!! Shaw Academy Everything you need to know! ShopSL Second Life Fashion and Finds. What I like by Cajsa Lilliehook What she likes about others art and photography and has asked to share mine. [SL] Blogger Support All the blogging support you can ask for inworld and online. Join the Group. Adobe All the editing and design you could ever need with all the adobe apps you like!! I use PhotoShop CC. PicMonkey Free online photo editing. Pixlr Free photo editing online. HAPPY EASTER!! Visiting Linden Labs Premium Neighborhoods, New Homes. Is the Runway Model Dying in Second Life? I Found ~THE DIRTY GRIND~ Independent Artist Community!